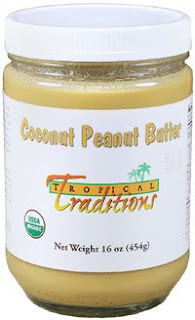 Well somebody had to win the delicious Tropical Traditions Organic Coconut Peanut Butter! Was it you? If you didn't win, you can always stop by Tropical Traditions to order some goodness for yourself! They have great sales regularly and you can watch for free shipping offers too! Thank you SO much, Lisa. We have had this before and loved it!